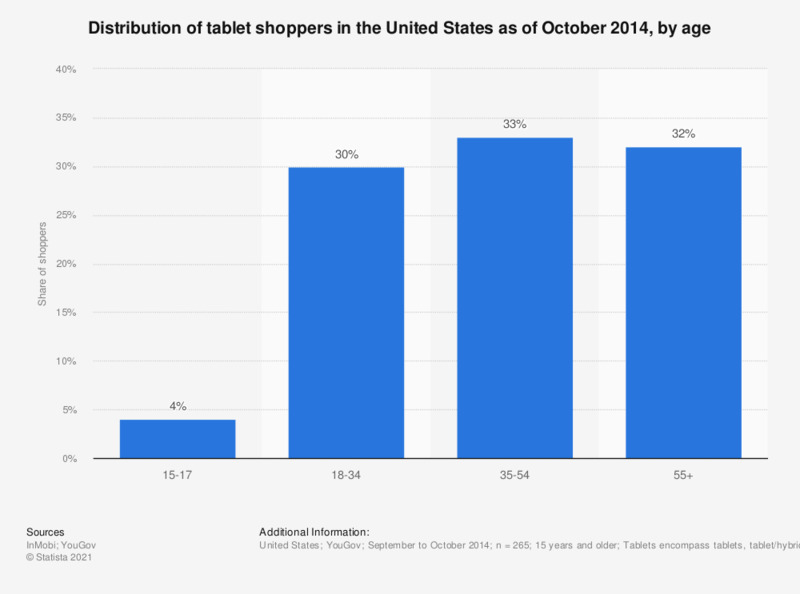 This statistic presents the distribution of tablet shoppers in the United States as of October 2014, sorted by age group. During the survey period it was found that 30 percent of the tablet shoppers were between 18 and 34 years old. On-device survey conducted over YouGov's mobile platform.